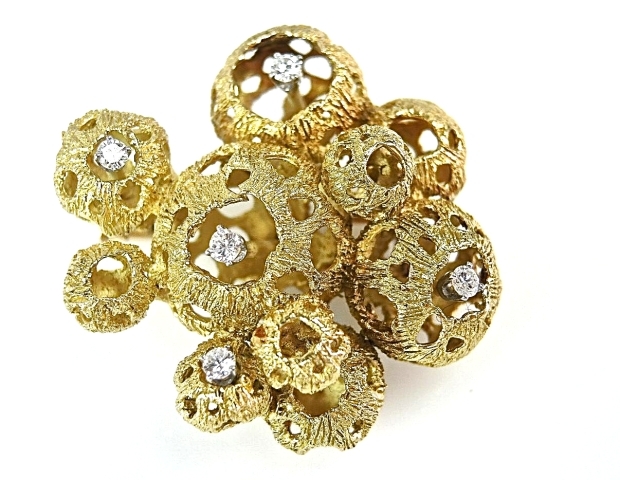 This beautiful Modernist 18kt openwork textured globule brooch, a real attention getter, is set with 5 claw-set round brilliant cut diamonds, est. 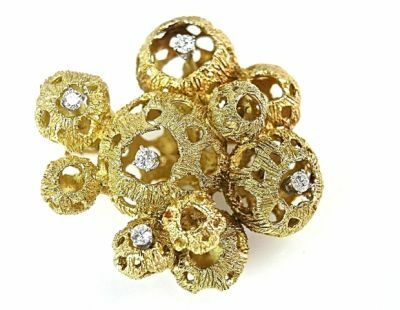 0.40ct. (clarity: VS & H-I colour). It is likely made in France or Germany as it is stamped Depose. 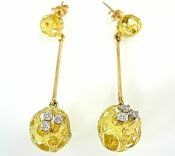 There are also matching earrings, see JED79125.